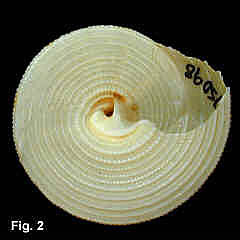 Description: Whorls straight sided; each whorl with a beaded keel at lower suture and 3-4 beaded primary ribs, each with one or several secondary riblets between. 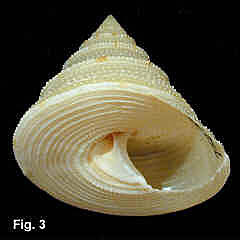 Basal margin sharply angled, keeled with a beaded rib. Base flat with about 10 spiral ribs, smooth towards the periphery, beaded towards centre. Outer lip simple, interior nacreous. Columella smooth; umbilicus open, partly covered by columellar callus. Colour fawn; base, umbilicus and columella white. Size: Up to 28 mm high. 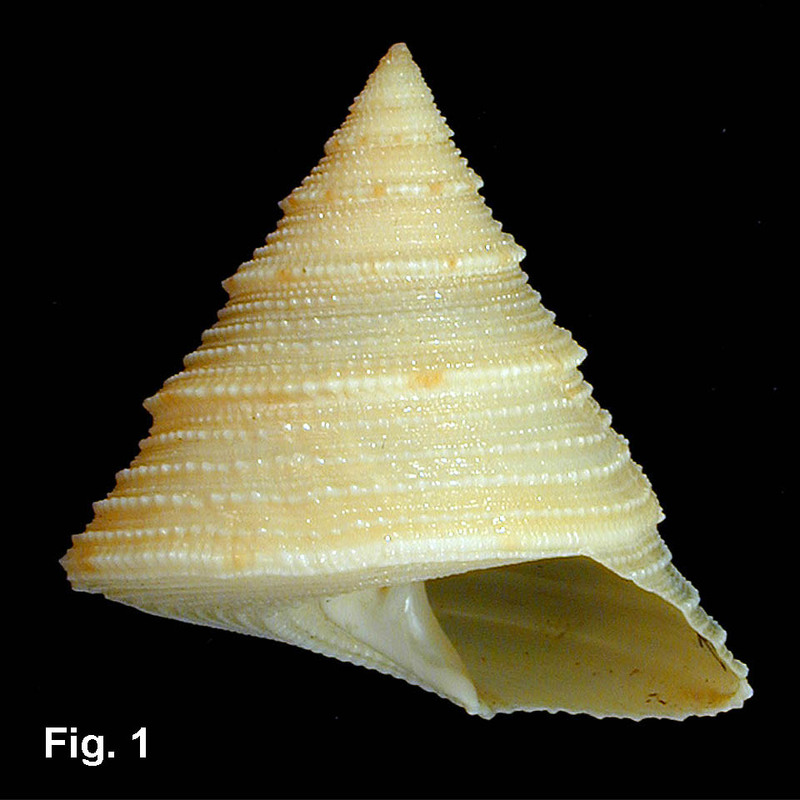 Distribution: Endemic to Australia; Swain Reefs, Qld, to Broken Bay, NSW. 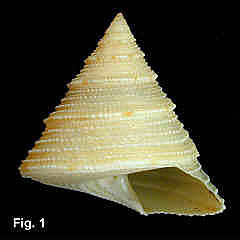 Habitat: Taken in 82-220 m. Uncommon. Comparison: This species is distinguished from A. armillatum and A. speciosa by the open umbilicus. Astele subcarinatum Swainson, 1855 is a similar species, also having the umbilicus open, but is wider and flatter. It occurs in southern Australia, known in NSW only from two specimens from Twofold Bay.